Yesterday we took a look at Toy Story Land as part of our recent flyover of Disney’s Hollywood Studios. 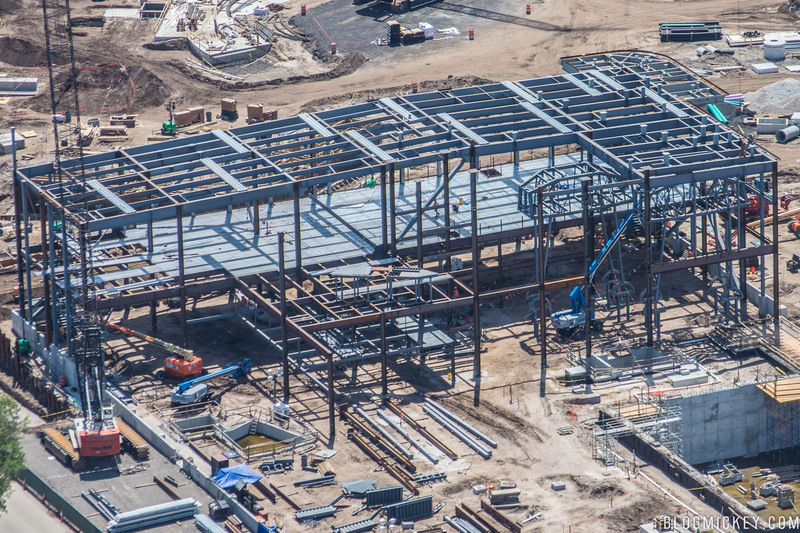 Today, we’ll take a look around Star Wars Land and the two attractions that are taking shape. 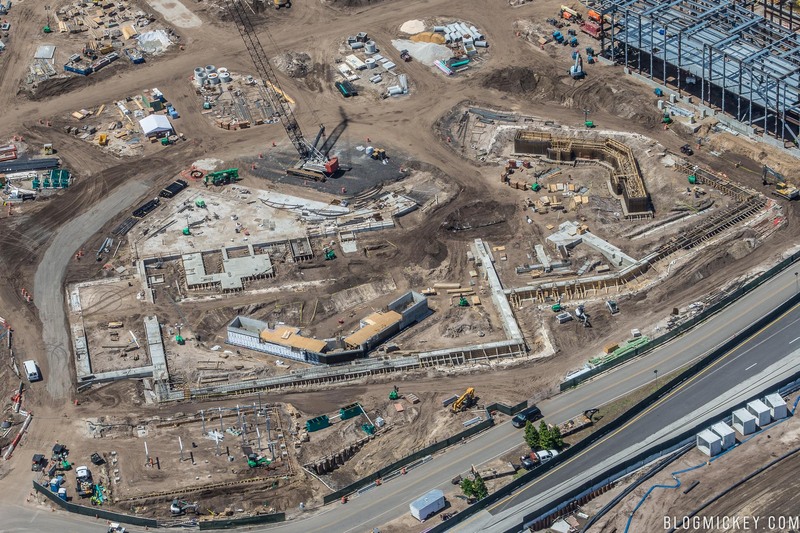 First, here’s an overview of the land from West to East, or from the former Lights, Motors, Action area back towards Streets of America. 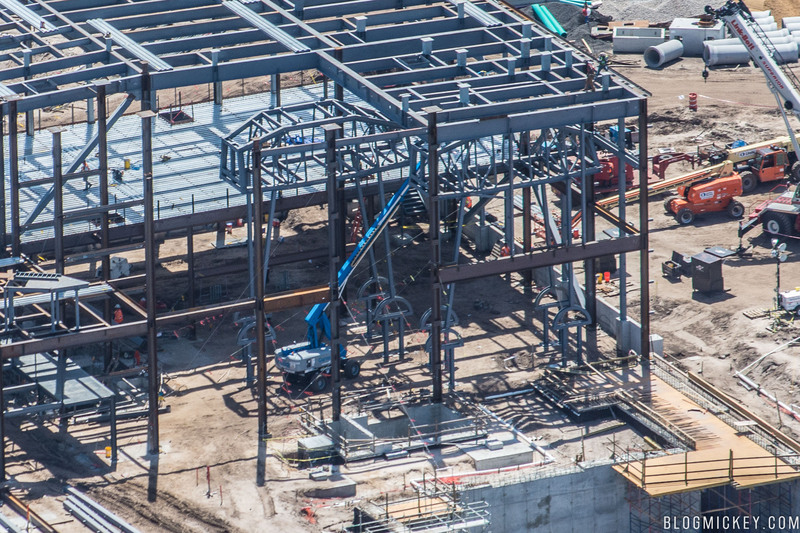 The building with the brown roof in the lower left corner of the photo is a backstage building that didn’t get demolished for the Star Wars Land and Toy Story Land expansions. The building with the green roof in the lower middle of the photo is a newly constructed building. 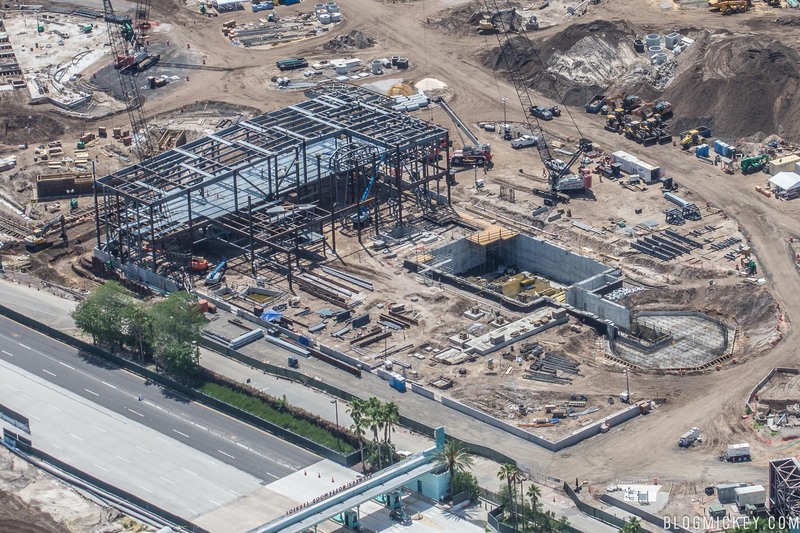 Here’s a reverse of the above photo, looking from the former Streets of America area in the lower left of the photo back to the green-roofed building. When Star Wars Land opens in 2019, there will be two attractions. A First Order Battle Escape attraction will throw you into the middle of a tense battle between stormtroopers and Resistance fighters. 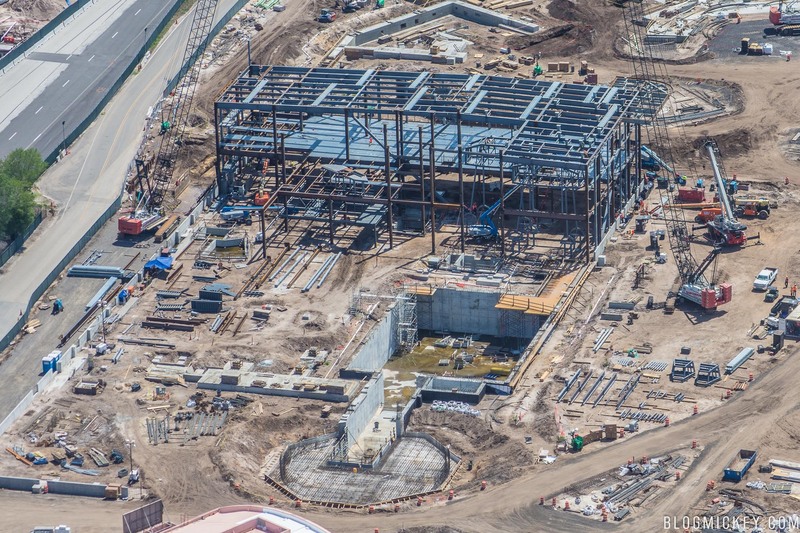 The second attraction will allow guests to pilot the Millennium Falcon. Let’s take a look at the battle escape attraction first. 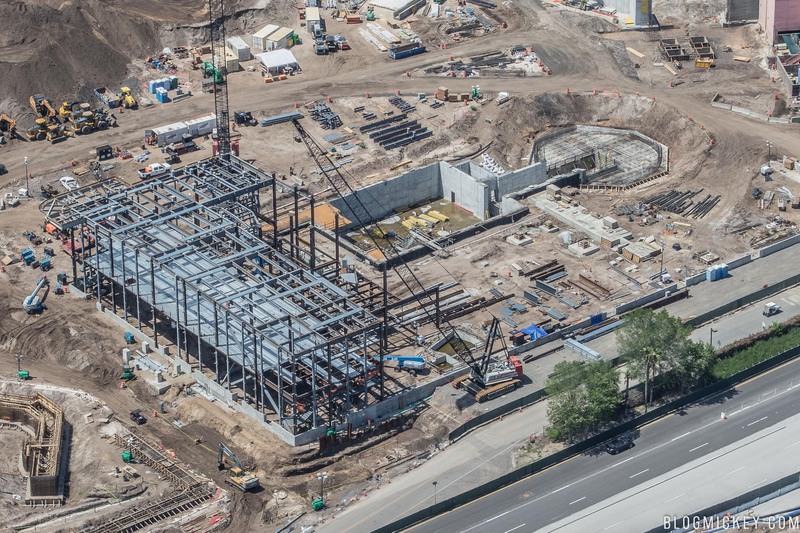 Visible from the entrance to Hollywood Studios, the multi-story building will have a substantial footprint. 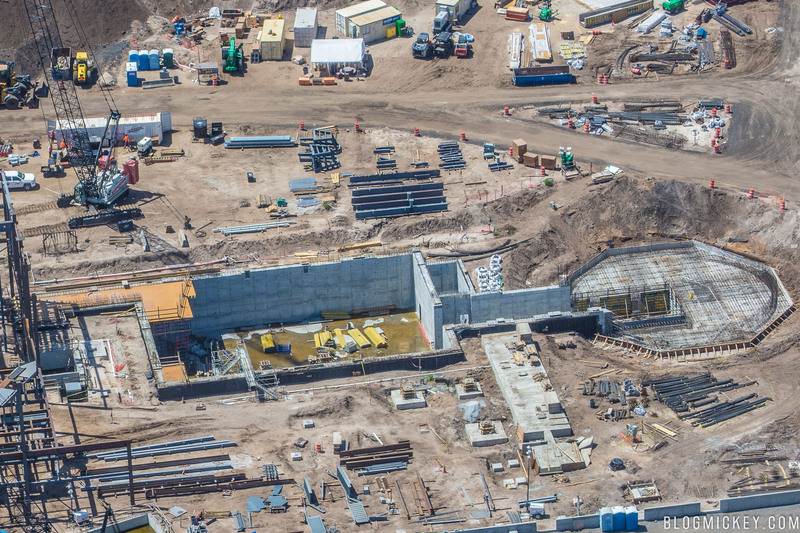 Probably the most interesting aspect of this project is the roughly 30-40′ deep pit that has been dug for the attraction. A closer inspection of the building shows that both AT-AT’s have been constructed with the exception of their heads, which sit on the ground nearby. The other attraction is the Millennium Falcon flight ride. It’s situated to the west of the Battle Escape attraction. Not quite vertical yet, this attraction will integrate with the Story Engine implementation of the new land. 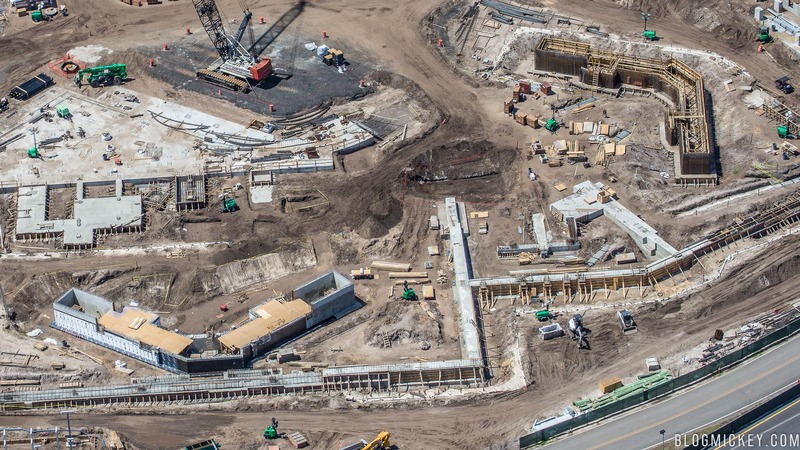 It looks like there are identical c-shaped sections being built. 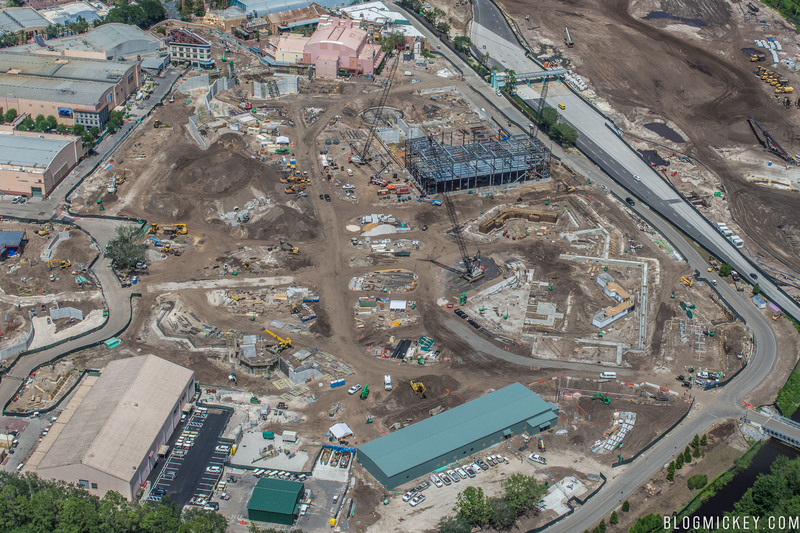 That concludes our look at Star Wars Land for June, but keep it locked to Blog Mickey for more coverage as we integrate aerial flights every 2-3 weeks into our normal park coverage. 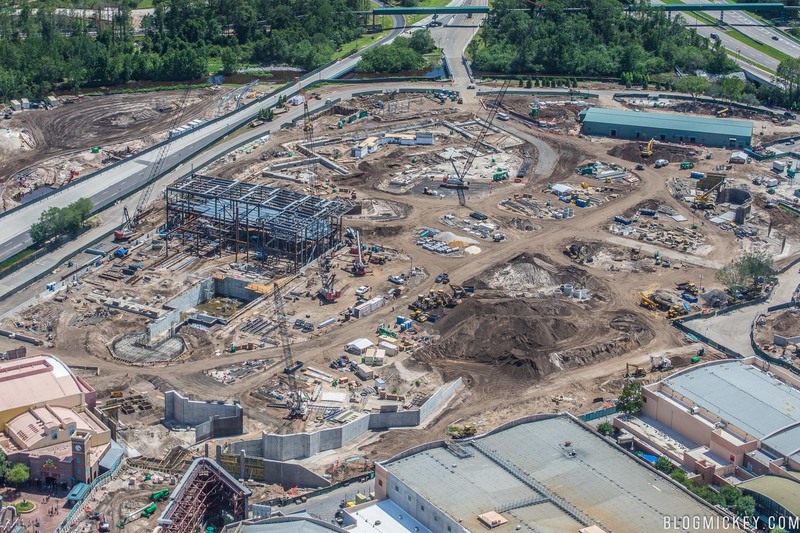 We’ll take a look at the Hollywood Studios parking lot expansion next.